Homeland Security Public Service Announcement, at Wal-Mart! Just one question for this Orwellian video: Does destroying local businesses and local manufacturing count as suspicious activity? 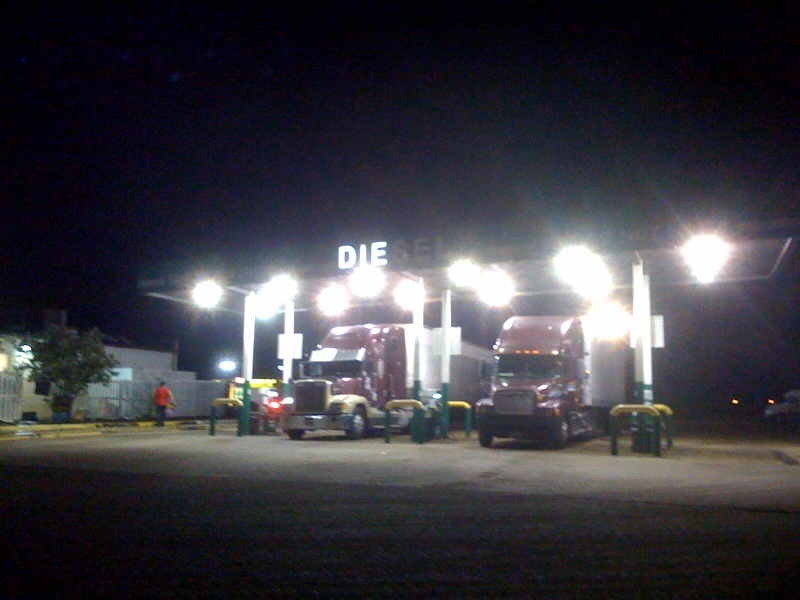 These are pictures of two retail stores. 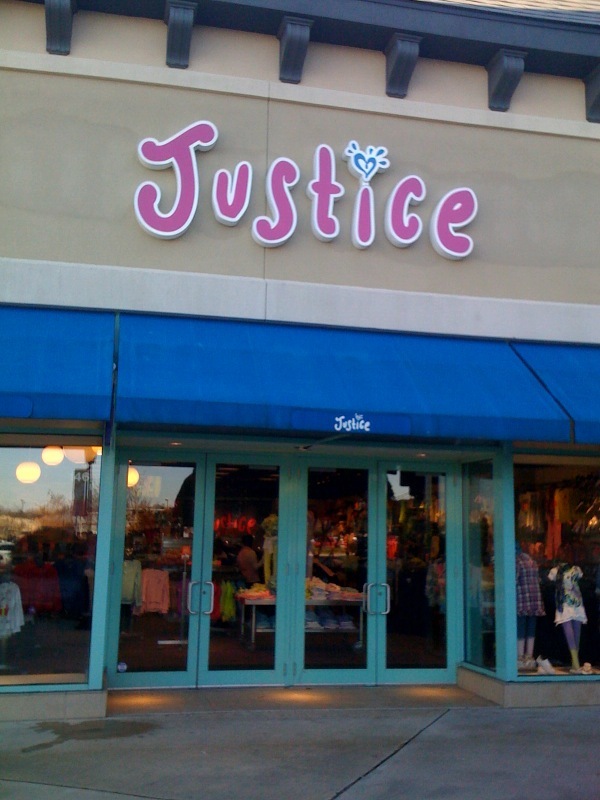 “Justice” sells clothes for girls, and it’s a chain. 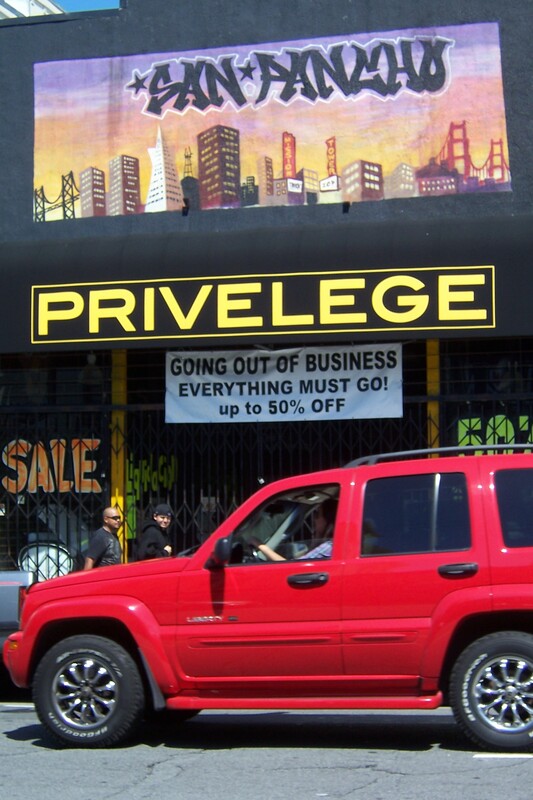 “Privelege” was a store in San Francisco, probably gone by now. I’d criticize their spelling, but I have to look it up in the dictionary all the time. Brad = Pissed Off. Warning: Capitalized letters below. Newsflash: It’s socially marginalizing to be gay in high school. Adding fuel to the fire, the Itawamba County Agricultural High School canceled the senior prom to avoid having two young women bring each other as dates. I don’t know what the hell they’re so scared of. Oh wait, she was going to wear a tuxedo. And we all know that women look better in tuxedos that men do. Sorry to discriminate, but it’s true. 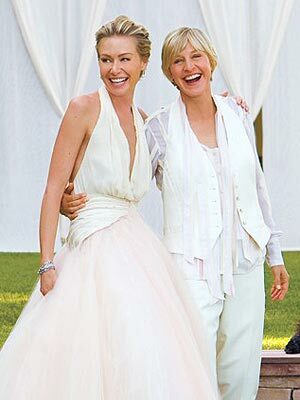 (I have a small crush on Ellen DeGeneres. Sorry Kathleen.) Those school board officials just couldn’t handle that. You gotta’ stick to your assigned gender roles, people! If you don’t do that, how are us white dudes going to stay in charge!?! We need ORDER! A picture of what is detroying all that is right and decent. Miss. school cancels prom over gay controversy | clarionledger.com | The Clarion-Ledger. 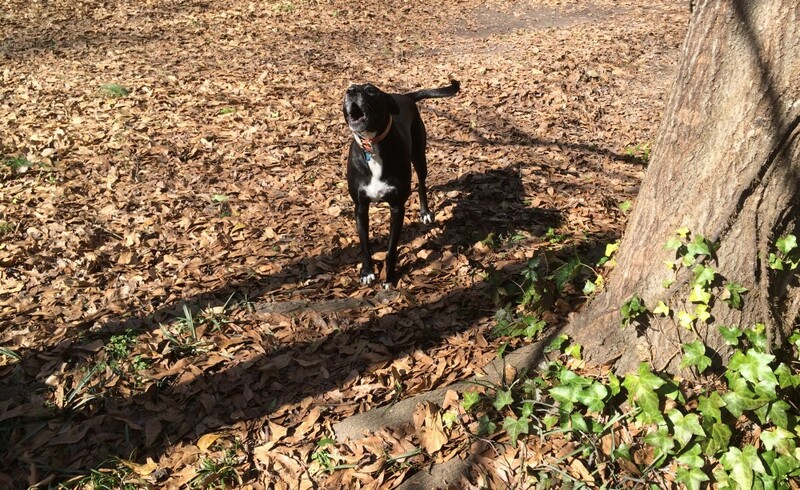 Back to me: Notice her observation. “It’s really RETALIATION.” She’s making a wise and prophetic observation here, a SYSTEMIC analysis. The school board is PUNISHING her for being gay by canceling the prom, therefore making all the kids at school hate her and treat her poorly. Here’s the kicker: This proves that BEING A QUEER IS A THREAT TO THE STATUS QUO, and that’s AWESOME. Powerful people find queer sexuality a threat to the worldview that keeps them in power. Otherwise, they wouldn’t give a damn. The task at hand is banding radicals together to support each other in the work of liberation. I wonder if there’s a radical person that we could rally around… someone of high moral character who confronted socially powerful people while also bringing good news to the marginalized… someone willing to lay down their life for the cause… let me know if you think of anyone. The social abuse and orphanage of gay teenager is a giant systemic evil in our society. This is why we need a theology of young liberation. Someone should write their master’s thesis on that. A graph! Perfect for my blog that promises more than words! Click on it to get up close and personal.